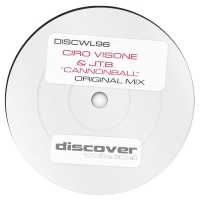 Ciro Visone and JTB have created a great little production partnership with a string of releases on the label that all ooze quality. Cannonballl is a cool off beat builder with acidic undertones and an epic topline. Subtle key changes breath energy throughout and the breakdown more than delivers after the build. With more to follow, the future is bright for this talented duo. 'Cannonball' is available now from Beatport and iTunes.